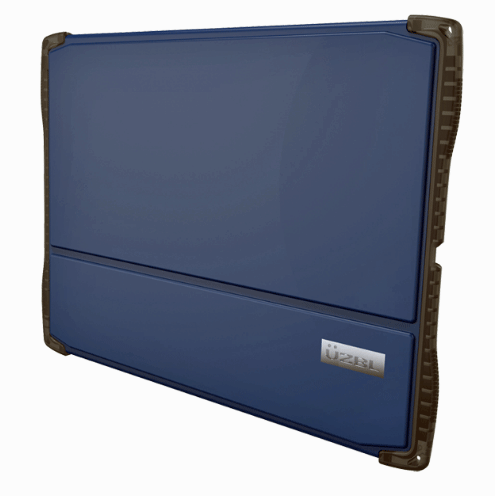 The UZBL Rugged Folio combines the cushioned edge protection of air cells with the sleek style of a portfolio case. 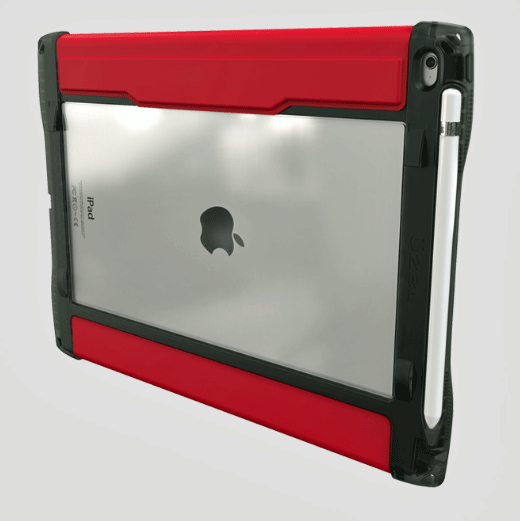 Like all UZBL cases, the corners and edges that tend to take the most abuse are lined with ribs and cells providing the iPad with unmatched drop protection. The front cover is made from smooth scratch resistant polyurethane and the inside is lined with a soft silicone like material. The back features a large, clear window to view custom stickers and school asset tags..
We love cells! We add them to all of our cases for that extra layer of forgiveness when the inevitable drop occurs. On the Rugged Folio they are strategically yet stylishly placed on the sides that typically hit the floor first. The front cover should be comfortable, functional, and durable. We reviewed hundreds of samples and chose a durable yet smooth material that looks great in a wide range of colors. The inside is a durable soft rubber that makes a great stand for display and typing angles. 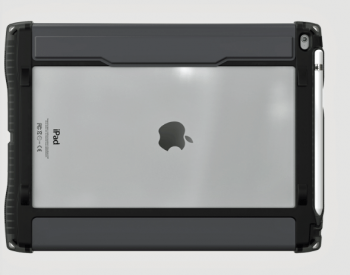 The back of the case is a clear polycarbonate window that we made as large as possible for unobstructed viewing of stickers, asset tags and iPad model information.